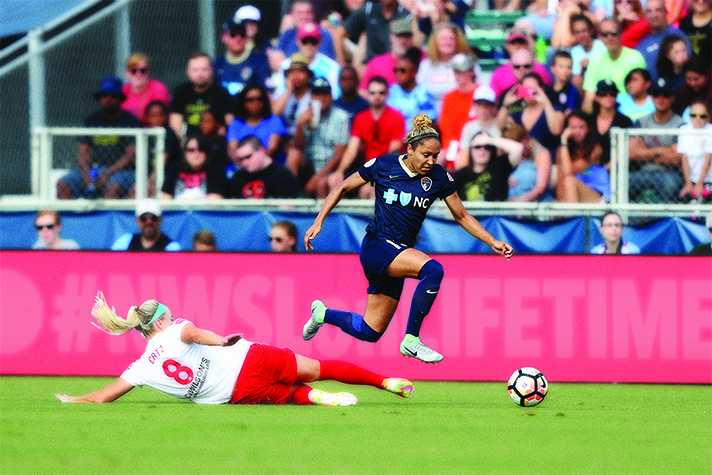 In an arena where challenges are inevitable and competition tests an athlete’s temperament, Jaelene Hinkle says playing soccer at the highest levels has nurtured and tested her faith and helped her grow in her relationship with Jesus Christ. “I think that all of it is a growing experience … it has made me dig deeper into my faith and find out what I believe and why I believe it, and to be able to stand firm in that is huge,” Hinkle said. She knows something about standing firm. The U.S. Women’s National Soccer Team called up Hinkle, a defender from the North Carolina Courage of the National Women’s Soccer League, to compete in two international “friendlies” against Sweden and Norway. Driven by her faith, Hinkle has always considered soccer to be more than just a game. Her goal is to be able to voice and show the love of Christ—to be a light.